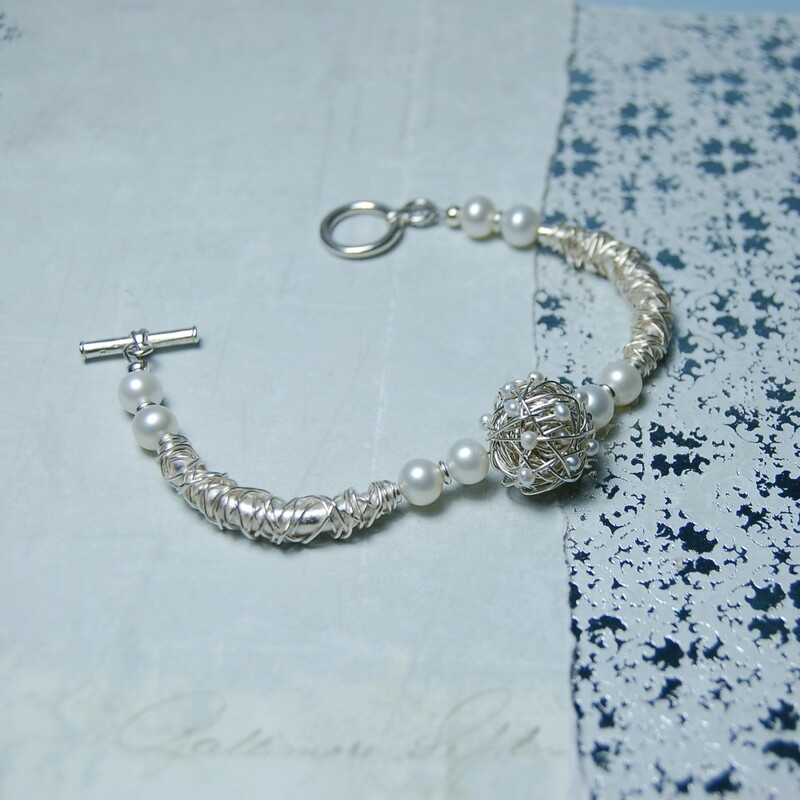 IndiviJewels has designed and handmade this wonderfully elegant and unique sterling silver bar " Bird's Nest " and entwined pearl charm bracelet. 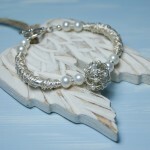 This beautifully designed bracelet is a new addition to our “Bird’s Nest” range which we continue to expand and this hand woven sterling silver and entwined pearl Bird’s Nest charm is a great addition. 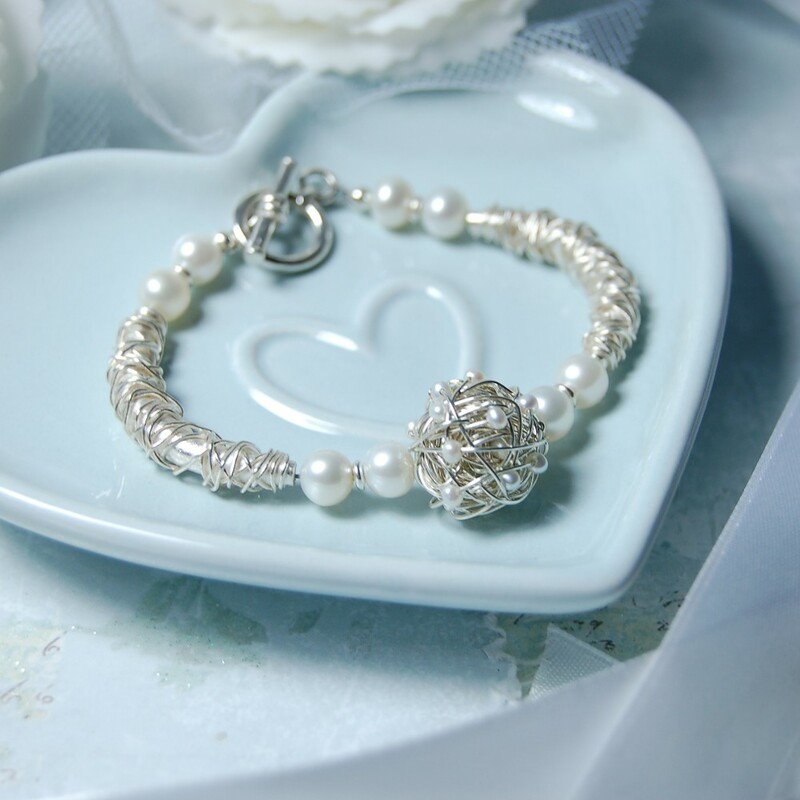 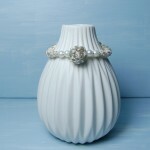 This Bracelet is for everyday wear and ideal for special ocassions such as a wedding as this is such a unique piece of jewellery. The combination of the silver and pearls really make this bracelet stand out and with the wire wrapped bars at the side it really fits in with the woven theme of the piece and gives you that IndiviJewel look. IndiviJewels designs and handmakes all it’s own work so if you would like something a little different then please just contact us and we will see what we can do for you. 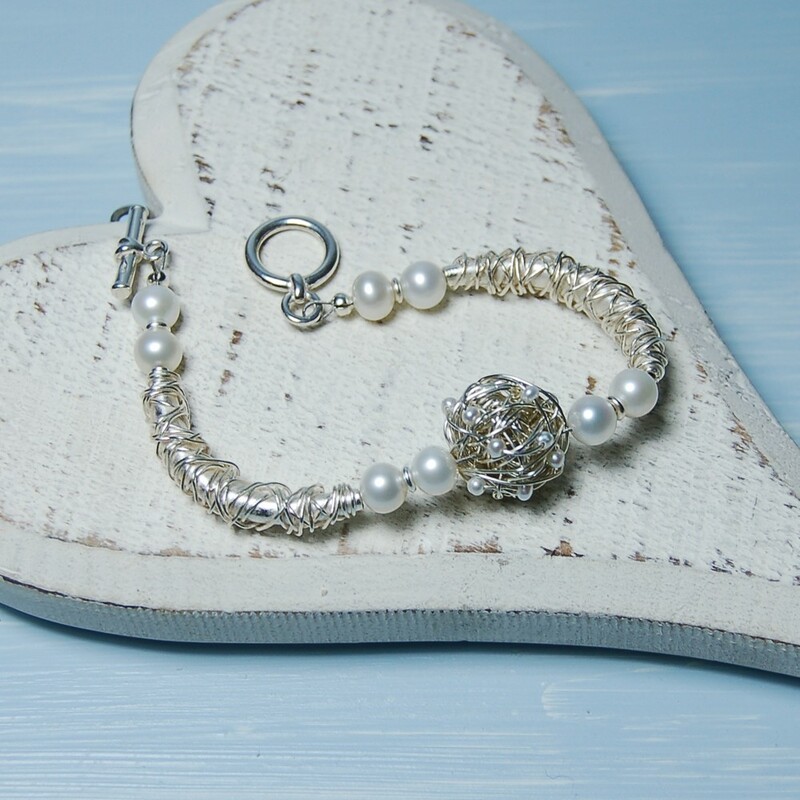 All our jewellery is made to order and each Bird’s nest charm is carefully and skillfully hand woven with the pearls entwined. 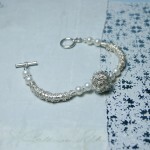 The pearls measure approx 7mm. 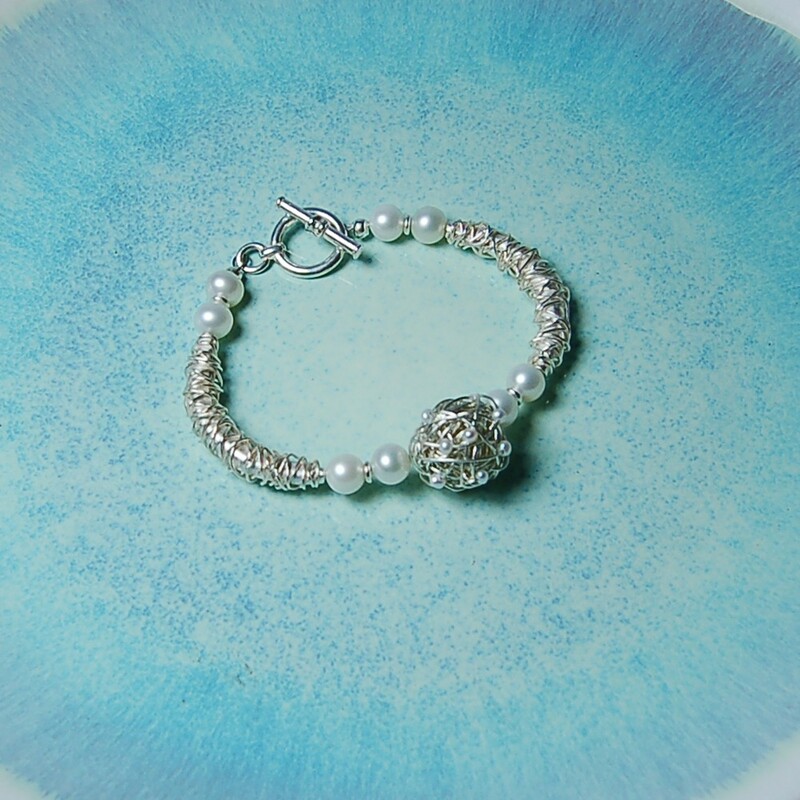 The Bird’s nest measures approx 16mm in diameter and the entwined pearls are 2-2.5mm.